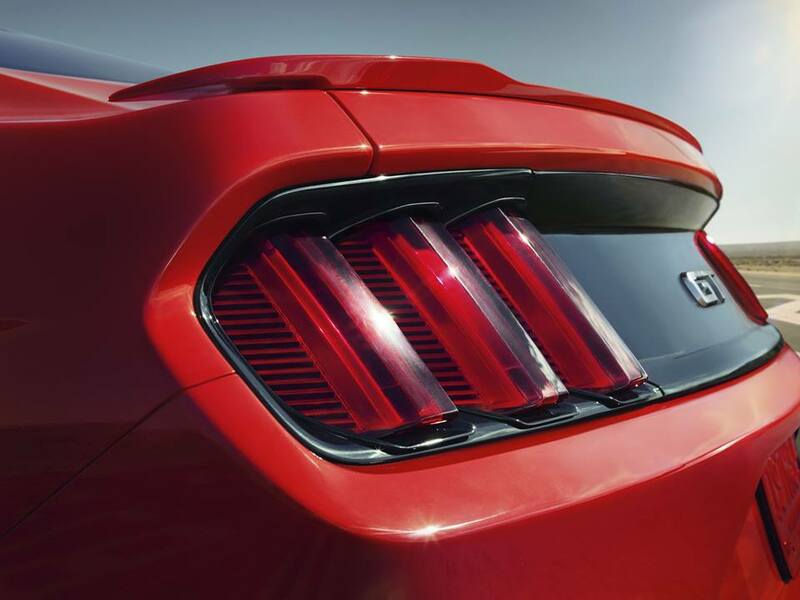 Here’s 5 things you can count on when the 2015 Ford Mustang hits dealer’s lots, sometime in 2014. Before you dig into the 2015 Mustang, check out AmericanMuscle’s complete coverage of the 2015 Ford Mustang reveal, including the first, exclusive look anyone got of the car outside the Good Morning America studio. That’s right ladies and gentlemen, the time has finally come–Ford is permanently set on having an IRS backbone the Mustang. 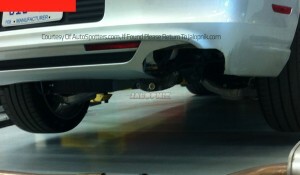 The good ol’ days of the SRA (solid rear axle) are gone. If you’re a drag racer who isn’t sure what to do, ask the ’03-’04 Cobra guys for advice. What this means for you? Well, “better all around performance,” but that doesn’t necessarily translate to faster quarter mile times, folks. 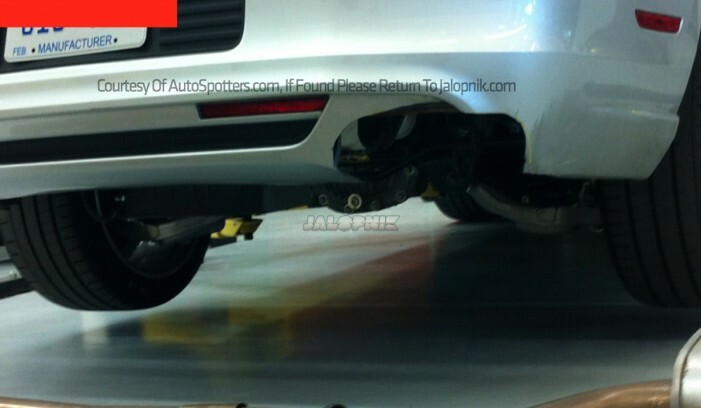 Ford hasn’t released any specs on the 2015 Mustang’s IRS just yet (UPDATE: 2015 IRS Specs), but we can assume it’s going to be similar to the Fusion’s current suspension setup. You can hold out and hope Ford offers an SRA option from the factory, but I wouldn’t hold your breath. Some have been concerned the 2015 Mustang would only see weight loss in the SVT and EcoBoost 4 cylinder models, but it looks like that’s not going to be the case. Expect the GT to drop ~200 pounds, while the 4 cylinder and future SVT S550 models may weigh as much as 400lbs less than their S197 counterparts. Ford hasn’t spoken officially on weight just yet, but we’re all hoping AutoWeek has their facts straight. We’ve seen it in many of the leaked photos and renderings and, of course, you can expect it on every trim level of the 2015 Mustang. The new tail lights are pretty cool and are one of the main selling points for Ford–hopefully a mutual feeling shared by their fan base. They also represent one of the more retro aspects of the “modern” S550 redesign. There’s no denying it, this car is highly based off the EVO concept Ford presented back in 2011. 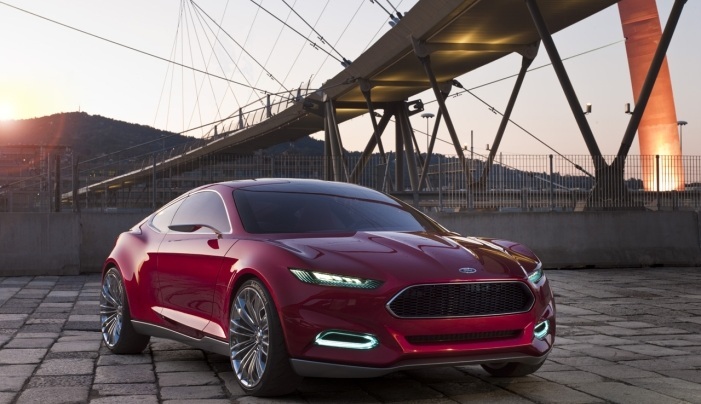 It has a face that reminds many of the Fusion, as well as other Ford models. The only difference in that this is the Mustang, and a lot of Ford purists aren’t happy their beloved ponycar is headed in the same direction as other Ford vehicles. 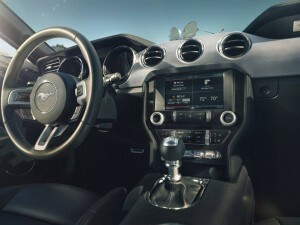 While the Mustang is loosing a bit of distinction with this latest facelift, with the boost in performance and the purported track times that top a 2012-2013 BOSS 302, we can only hope it retains the Mustang “feel” behind the wheel. It is certainly identifiable as a Mustang and isn’t particularly retro, but how new is it really? The pictures say it all. More gadgets, more buttons and more technology–all things the S197 has been lacking. Hey, if you can cram-pack a Mustang full of fancy technologies like key-less entry and an antenna that’s not 4 feet tall without adding weight then, you go Ford. This should be one change that few, if any, Mustang fans will be complaining about. That is, so long as it all works as advertised, something Ford has probably taken many measures to ensure and one aspect they wouldn’t let us down on, especially after the previously not-so-hot reviews of the Ford MyTouch. Of course, AmericanMuscle will be the first to bring you all the parts and accessories you need to customize the 2015 Ford Mustang. Don’t worry about wait time–we’ll have plenty of performance and styling parts ready to ship, well before the first S550s show up at dealerships and in customer’s driveways. 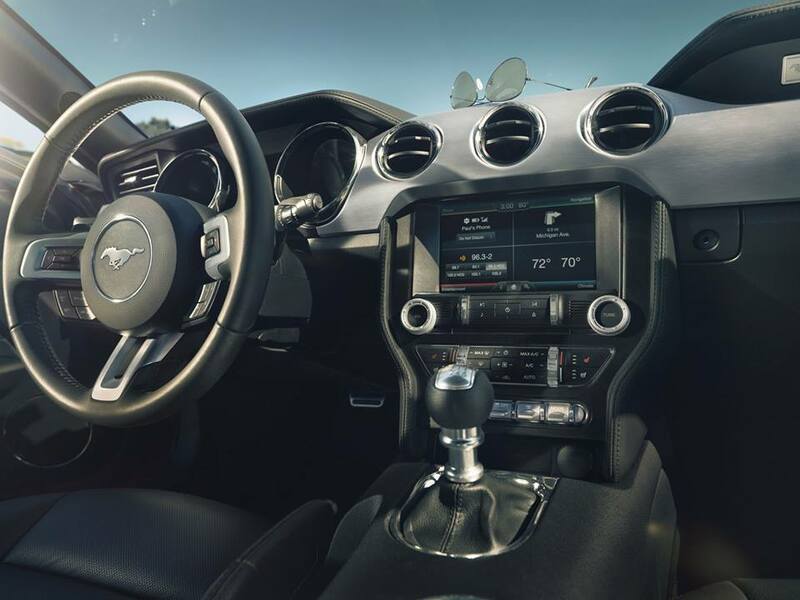 The new Mustang and its fanbase is here to stay and AmericanMuscle will be right there with you guys, helping you create the perfect ride and the Mustang you’ve always wanted. Previous Entry VOTE! 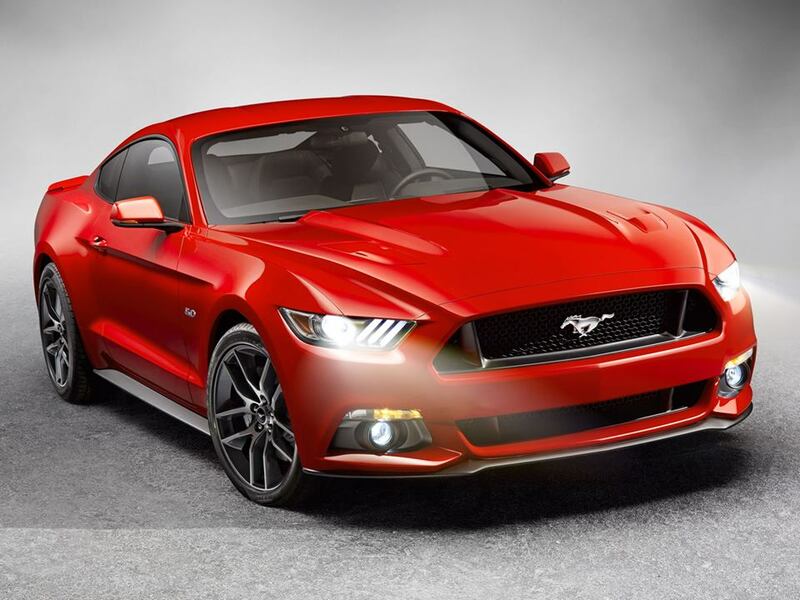 Official 2015 Mustang Photo Gallery – Hot or Not? Next Entry Video: 2015 Mustang Photos & Video, Live From The Set of Good Morning America! That Ford Evo is a cool looking car. It’s would sell here pretty well I’m thinking. I have always been a GM guy until I bought a F150. I then started to look at a 2012 mustang GT that I just love. If something ever happened to my car which I pray nothing does. It would be time to go back to GM. I have not seen the car up close but I don’t think it would make a difference. Honestly…. I don’t like it… The new rear end is gross… The interior looks nice and some pictures I like the front end and some I don’t… Same goes for the side view… And the convertible is gross as well… Even with the top down… And I completely understand that ford wanted to move forward… I just think they could have done a better job… THere are plenty of other modern style looking cars that I like much better.. And I’m a mustang guy to the end.. It isn’t near as ugly as the Camaro back end. The new car carries on the tradition. I really like the idea of the car losing a few hundred pounds and having so many engine options. If the Focus ST is any example of the power and fun that the four will have, then I can’t wait to drive one. There just aren’t any other car makers out there trying to make one car fit everyones desire these days. Ford has a winner in this one and I applaud their engineering and marketing teams for getting this one out in this form. Beautiful car with lots of options? Only in America. The styling had to be updated folks and they did a great job on this one, retaining the most important cues while bringing it forward. Not all car buyers are 50 year olds that want the same car they had 20 years ago and to do this update without thinking about that fact would have the Mustang going the way of the dinosaur again. Im excited to see one in person and better yet, drive one!!! Ford needs to keep to its roots this looks like euro trash the pony doesn’t need to blend it needs to stand out, and putting a 4 banger in it that’s not muscle no replacement for displacement!! I like the new look. I own both 2010 camaro ss and 2009 mustang v6. Look at what chevy did to the new look of the chevy and you will call that ugly. Also the turbo 4 might be awesome if it has the v8 power or close. I believe AM will have something to boost the turbo even more. The IRS has been long over due. The lack of it pushed me over to Corvette.